In a highly competitive real estate market it can be difficult to determine who the best Real Estate Professional would be for your needs. Currently the Kamloops and District Real Estate Association reports that there are just under 300 member Realtors. I have included some pointers below to help you figure out how to find the right professional for you. 1. Interview 2 to 3 Realtors: Analyze their differences and pick the one that you feel most comfortable working with and whom you feel will best represent your interests or needs based on their skill level and experience. For Buyers, you want to ensure that the Realtor will take the time to show you properties when it is convenient for you and will make your search a priority. Go to open houses to informally meet Realtors and strike up a conversation, you will know who you feel comfortable working with after meeting a few professionals. For Sellers, you want a Realtor that has a comprehensive, dynamic and aggressive marketing plan to get your home sold. Communication is paramount and it is important that your listing Realtor maintain open and continual feedback. The most common criticism is “the Realtor posted a sign and I didn’t hear from him/her for 3 months”. 2. Choose a Full Time Realtor: Some Realtors only work part time. Your largest financial and emotional decision may only be a second career for that part time Realtor. Choose a professional who’s business it is to sell real estate. You wouldn’t choose a part time surgeon to operate on you. A full time Realtor means better market knowledge, better service, better marketing and better negotiating skills which means a better price for you, whether buying or selling. Ask your potential Realtor: How often will you hear from them? Do they have support staff or a team to help them and help you? Are there any days or times during the week that they don’t work? Do they have a part time or other job? 3. Chose a knowledgeable Realtor: The Realtor you choose should be able to explain the market as it relates to your sale or purchase. Questions you should ask are: Have they sold or listed homes in your area? Are they knowledgeable about the statistics and the direction the market is moving in (buyers or sellers market)? They should take the time to educate you as to the present market conditions and show you the best way to sell or buy given those conditions and the competition. They should back up their explanations with current market data and be honest with you in interpreting that data. 4. When listing, Do Not choose a Realtor based on price: When Realtors are competing for a listing, some will give an inflated price just to try to get the listing, only to ask you for a price reduction a few weeks later. Realtors don’t determine the price for your home, the market does that! Often, Realtor’s that don’t have much to offer in terms of experience tend to compete on price. In other words, what you may gain on perceived higher valuation on your home, you will likely lose in overall sale price due to poor marketing and weak negotiating. Part of a Realtor’s job is to interpret hundreds of sales as well as active listings. Therefore your prospective Realtor should be able to explain to you what your specific market range is for buying or selling. A good real estate professional knows that every house has a price range which is determined by the seller’s motivation to sell and the buyer’s need to buy. Did you know that 70% of whether or not a property will sell is decided when the price is established. The other 30% is based on the Realtor’s level of competence and negotiating skill. 5. Choose a Realtor based on their success rate: All Real estate companies have good and bad Realtors. Don’t be afraid to ask a potential Realtor what their sales record was for the past year or two. The Realtor you hire should know how to successfully sell homes and the numbers never lie. You can ask: How many homes did they help their clients to buy and sell? How many days did the average home that they have listed spend on the market? Do they sell in your area or all over? What special awards or recognition have they earned? Do they have any testimonial statements from past clients? Each Realtor’s willingness to share this information with you will help with your overall decision. 6. When Listing, Choose a Realtor based on their marketing strategy: How much time, how much money and what kind of marketing is your Realtor suggesting for your property? Every property is different and needs a tailored marketing program to sell it and attract the best buyer willing to pay the highest price. People don’t buy bricks and mortar, they buy a lifestyle, an environment where they can raise their kids or a location where they can retire in style, with amenities they can use and enjoy. Ensure your Realtor has a comprehensive marketing strategy that targets different medias such as internet, print, local advertising etc. 7. Choose a Realtor that has been recommended by family or friends: Family or friends who’ve had a good experience with a Realtor are your best referral source. A good Realtor will keep in contact with their past clients and ask them for referrals. This is a great place to start when choosing a Real Estate Professional. 8. For Buyers, Pick one Realtor to work with: It is in your best interest to choose one professional to work with. 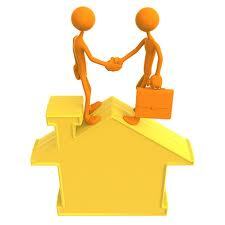 You will develop a relationship with your Realtor and that person will really understand what you want in a property. You can’t expect a Realtor to give you 100% if you are not willing to commit to them. Realtors only get paid if you buy or sell a property with them, so if you are working with other Realtors all at one time you can’t expect outstanding service based on your lack of loyalty. Find someone that is honest and trustworthy, this will eliminate the need to want to work with other Realtors at one time. Click here for a free, no obligation home evaluation.